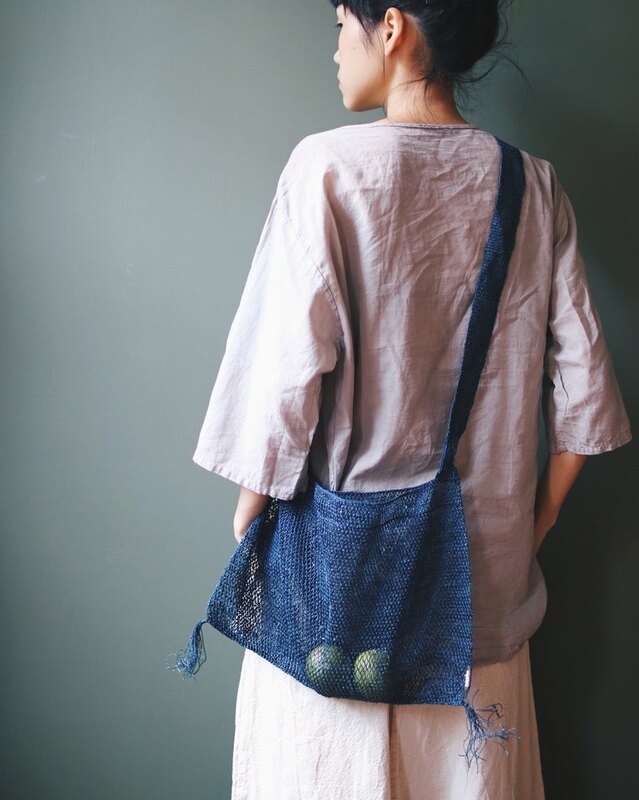 / Product description and story / Hand-woven mesh bags are woven with tough bark Therefore, there will be a certain degree of durability and durability. It is a design that is very suitable for summer! / size / (cm) Length: 29 Width: 37 Belt length: around a circle 94 *Because of the hand weaving, there will be some gaps in the size of the circumference, and it can be accepted for purchase. / Designer and brand profile / ▲Omake World 雑 屋 ▲ We love to travel and discover cultures around the world. Then draw inspiration from this, through second-hand re-production, stitching design Create unique products. We also value materials and hope to use environmentally friendly methods. Does not cause a new burden on the earth, such as . Hemp and stem: You don't need too much water to grow, you can make something that is strong and durable. . Organic cotton: Made in nature, reducing the damage that chemical cotton can do to the planet, while also protecting the health of farmers. . Ethnic embroidery: Through the embroidery of the Remake minority, we hope to continue the common world heritage of mankind. . Natural Dyes: The use of plant-based dyes, in addition to reducing damage to the human body, can promote traditional aesthetic wisdom. Omake is the meaning of a Japanese gift. We hope to bring a little surprise to the world through culture and design. (O+Make)=We have worked with the world to develop cross-cultural and interesting products.